The economic crisis has lead many real estate properties prices to hit the rock bottom, which simply have created great opportunities for investors to buy residential real estate. However, of course there are many people losing their homes. Purchasing a home is everyone’s dream, but not letting your heart rule your head is one of the most important things you should consider when buying residential real estate. Remember the following Ten Questions You Should Ask Yourself When Buying a Residence. 1. How is my credit? There’s absolutely no need to go to bank & consult with your account manager, whether or not you are fulfilling your monthly payments regularly. Make sure that all kinds of repayments should be made on time to generate a good credit. 2. Is my job/employment permanent? Besides credit, job status is a crucial thing for getting an approved loan for buying residential real estate. A salaried person may need to show their latest salary slips & salary bank account statement. If you own a business or self-employed, it’s necessary to demonstrate the stability of income for an extensive period. 3. Am I ready to request a pre-qualification? After answering the first two questions honestly, you must ensure that you are willing to approve a loan with a mortgage officer. 4. How is my budget? Having a good credit, permanent employment & approval by the bank doesn’t mean that you can purchase a house at a maximum price that you approve. Most of us know that there are many kinds of expenses that don’t reflect in the credit report. Avoid feeling that “you can’t breathe” as you drown your monthly payments. 5. Do I have adequate savings? There are many other costs associated with the purchase of house; however you get a mortgage that offers 100%. These aren’t common today, however there are some programs that offer it, even for new housing. Anyway, you will need to bear expenses such as credit report check, appraisal, inspection and removal. Additionally, it’s better to keep some cash in hand for emergency. 6. What kind of property do I need? To decide, think about your family. If you’ve small children & would love to have a patio or like working in the garden, buying a separate residence would be a best choice. If you wish to compromise on money, then go for a small courtyard. 7. What features do I look into a house? Analyze the number of rooms and bathrooms you need for your family. Today, every family needs a family room to enjoy & share their work & happiness. Moreover, a terrace would be ideal; however, it can be an extra to build, only if the people living around permit. 8. Where do I buy a house? 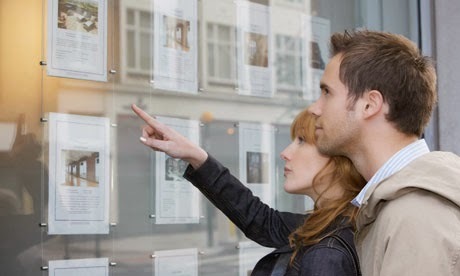 This is a fundamental choice as to where you would like to buy your first house. Make a list of the requirements you need around you such as schools, hospitals, shopping malls or nearby gardens. Based on your list of requirements you should decide as where you want to purchase a house. 9. What am I planning – short term or long term stay? The time of buying and selling in a few months is gone. If you are planning to move to another city in few days or couple of months, renting would be a better choice. 10. Are there any hidden issues I need to worry about? There might be some hidden issues that are really hard to spot at the first instance. It’s better to check the potential properties carefully for various problems such as damp or structural weaknesses. Everyone is seeking for a great & worth deal when buying residential real estate, however often our emotions get in the way. That’s why; you should not ignore to ask these 10 questions when buying a residence.